Most of the time we like to describe the items ourselves, but we feel like StackCommerce’s copy is just perfect as it is, so we’ll paste it here, if yawl don’t mind. 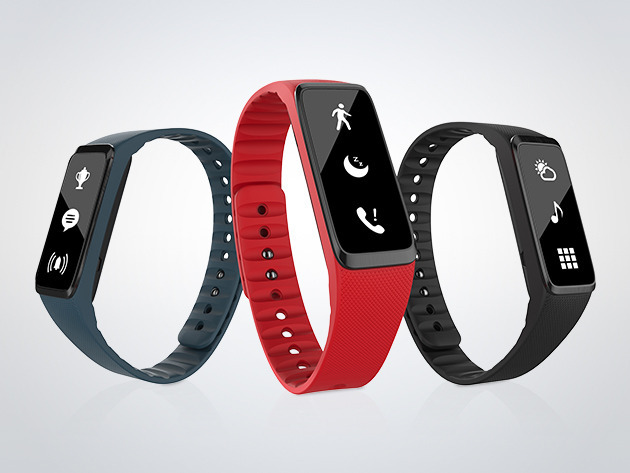 You’re looking at a deal on the MOOV Wearable Fitness Coach. What’s that, you say? Moov doesn’t just track your distance and calories, its intelligent motion detectors reconstruct your movements in 3D to give real-time performance insights. The Moov tells you what you’re doing wrong, and how to correct it while giving you the inspiration to get in in the best shape of your life. 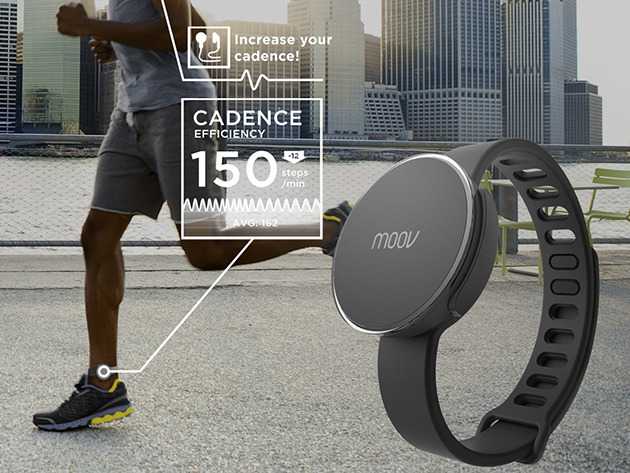 There are lots of fitness trackers out there, but MOOV is priced to, well, move (see what we did there?) at $69, down from its usual $89. Now for the good part. The smart watch normally costs $100, but you can have it for $55 today! It’s still early enough to get this as someone’s Chrsitmas present… Just saying. By David Ponce on 12/09/14 • Leave a comment! There are those that run to catch buses, and those that take buses to go running somewhere. You see, jogging is a freedom and an exhilaration few get to experience, yet as much as they can love something they can also love it wrong. Runners can develop bad habits, or even never learn the good ones in the first place. 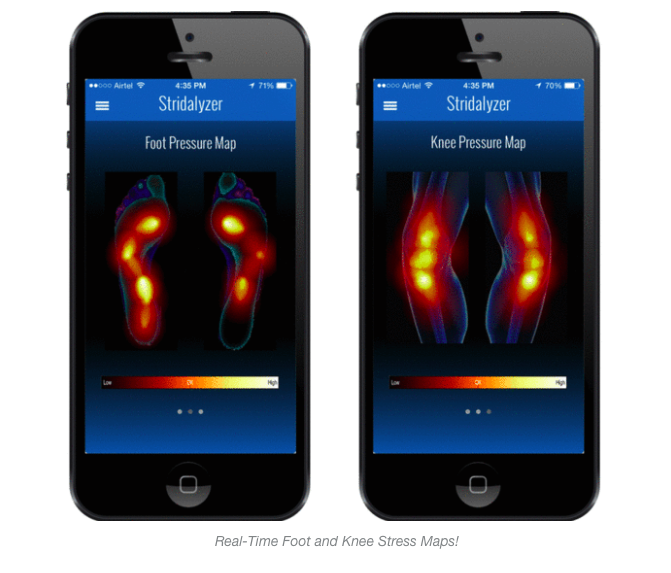 Smart insoles Stridalizer hopes to give you the sensor data you’re missing to analyze your stride and develop a more efficient method of locomotion. Yes, there is such a thing as proper running form, although many do prefer to run comfortably regardless of any technical shortcomings. For those that care, here’s how the Stridalizer works. Once inside your kicks, the soles measure foot pressure across a variety of sensors, developing a moving image of your stride. We have designed our solution to continue to monitor your run, and interrupt you only when it needs to “alert” you with some important information or quick guidance. For example, if you start persistently overpronating, or if your footstrike pattern changes, you will get a visual as well as an audio alert – this way you can keep your eyes on the trail and still get the information or advice that’s relevant for you – WHEN it becomes relevant! If you are trying to buildup your pace or find the optimal rhythm for your next marathon, Stridalyzer helps you monitor and track the three fundamental performance parameters: Stride Rate, Stride Length and the most elusive – Ground Contact Time. Using our patent-pending technology, we can measure ground contact time extremely accurately! The information is nicely presented in an app, which is free with the $75 pledge to own a pair. Remember those late night infomercials that sold gadgets to give you a six-pack without having to “do anything”? 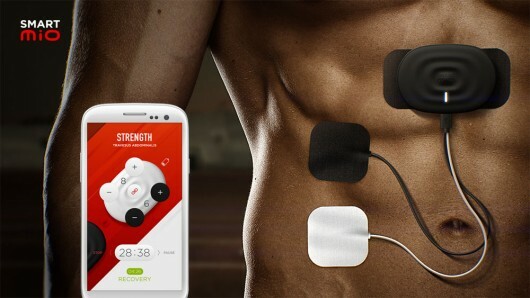 They’d just zap your muscles with current and these would contract and do all the work “by themselves.” The SmartMio is sort of like that, but there’s a smartphone involved. There’s also presumably a little more tech involved in order to make this more legit than the cheaper, older devices of the 90’s. The excessive quotation marks are there to denote that as much as the stimulation for muscle contraction is external, you will still feel tired after a while; you’re still doing the work, you just have less control over it. Anyway, with the SmartMio you can choose between 14 different muscle groups to work out, and isolate them exclusively, which is hard to do with traditional training. As gimmicky as this sounds, there appears to be some scientific studies backing up the principle of ElectroMyoStimulation (EMS). You can read a few here and here. And if you want to get your own SmartMio, you’ll have to pledge $89. Forget How Many Calories You’re Eating; How About How Many Are You Actually Burning? By David Ponce on 02/05/13 • Leave a comment! 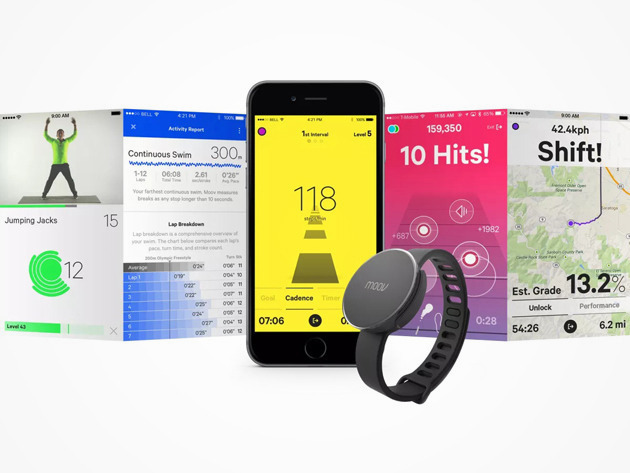 The fitness tech field is crowded with a bunch of devices like the FitBit or the Nike Fuel Band, which keep track of your daily activities and are able to tell you with great detail just how many calories you’ve burned and how active you are. However, all these devices make some assumptions about one pretty essential piece of information: your resting metabolic rate. Without knowing exactly how many calories your body burns before you even start exercising, you have to use approximations to get to your daily total. The Breezing Portable Metabolism Tracker hopes to change that. Using indirect calorimetry, the device measures the levels of carbon dioxide and nitrogen in your breath and uses this information to determine your basic, resting metabolic rate (RMR). It then communicates the result to your smartphone, for easy tracking. Not only does it tell you how many calories you burn at rest, it can tell you whether your body is burning fat, carbohydrates or both. This is important information to people who would like to know if the special diets they’re following are working. It’s also useful for those who are practicing exercise routines meant to increase RMR, like HIIT (High Intensity Interval Training). Used in combination with devices like the Fitbit, it’s becoming possible to get a comprehensive picture of your body’s energy flow. For data nerds, this is heaven. 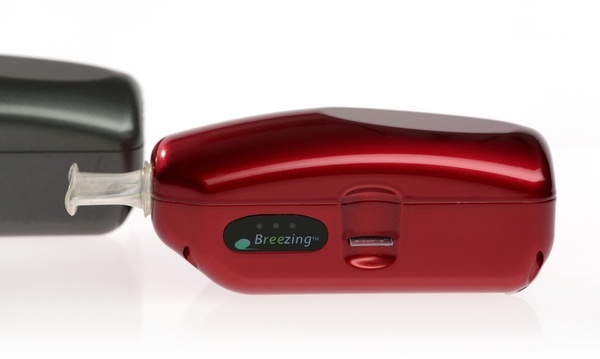 The Breezing device is currently undergoing funding at IndieGogo, and a $250 will get you one.